A few years ago, I was surfing lowyat.net for some info on a gadget I planned to get for rif’s birthday. That was when I stumbled upon a link called kopitiam. Me being me, I assumed it was a forum on the best coffee/hangout places in Klang Valley. Boy…I was wrong! Lowyat.net’s “kopitiam” was a totally different meaning altogether. Back to the real deal — local kopitiam. This refers to Malaysian Chinese coffeeshops, and the kopitiam culture is spreading like wildfire all over Malaysia. 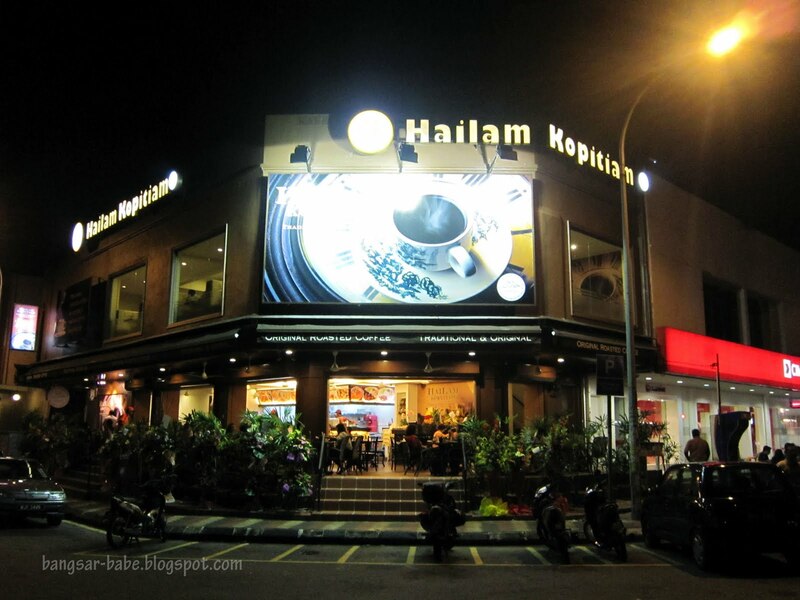 Hailam Kopitiam recently opened in Lucky Garden, Bangsar, taking over Pizza Milano. Service that night was lacking and all over the place; we were served our food but no cutleries were provided. 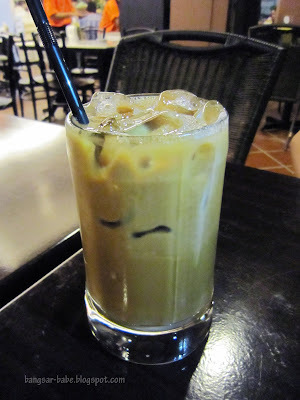 rif’s Special Roasted Coffee (RM3.60) was adequately prepared and had just the right level of sweetness and “kao-ness”. The same couldn’t be said about my Cendol (RM4.20). I wasn’t pleased with how diluted the coconut milk was and how awful the palm sugar/gula Melaka tasted. 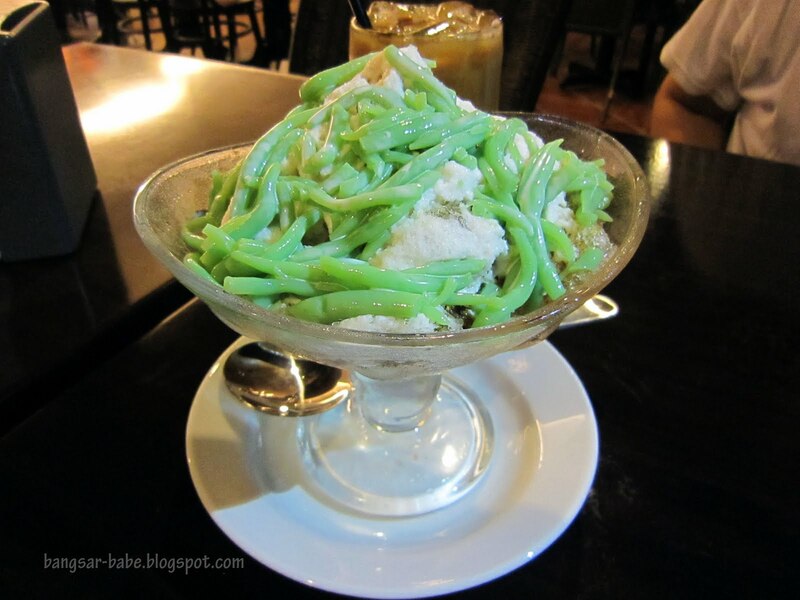 This was one of the worst cendol I’ve eaten. The Mix Fried Mee (RM7.80) looked pretty good from the table behind us, so I ordered one to try. This tasted pretty decent and portion was generous. The fried vermicelli and kuay teow went well with the thick egg gravy. I wouldn’t mind ordering this again. I wasn’t too pleased with the Chicken Chop (RM14.20). While rif found it mediocre, I thought it was a disaster. The chicken was dry, stringy and scarcely seasoned. Good thing the gravy added flavour to this dish. Dinner was alright, but hardly memorable. I’ll return for the mix fried mee, but not the cendol and chicken chop. Verdict: Decent hangout place and average food. Not a place to people watch though. There's one at taman connaught too… I think. Not sure if it is the same. "Lowyat.net's "kopitiam" was a totally different meaning altogether." Haha, best not to judge that entire forum based on just the kopitiam section though – their so-called /k/ is like erm … is like … the black sheep of the family haha! Thank you for taking your time to write a review of Hailam Kopitiam (Bangsar outlet). We are aware of the quality of foods we serve here, as we received a lot of feedbacks from customers. 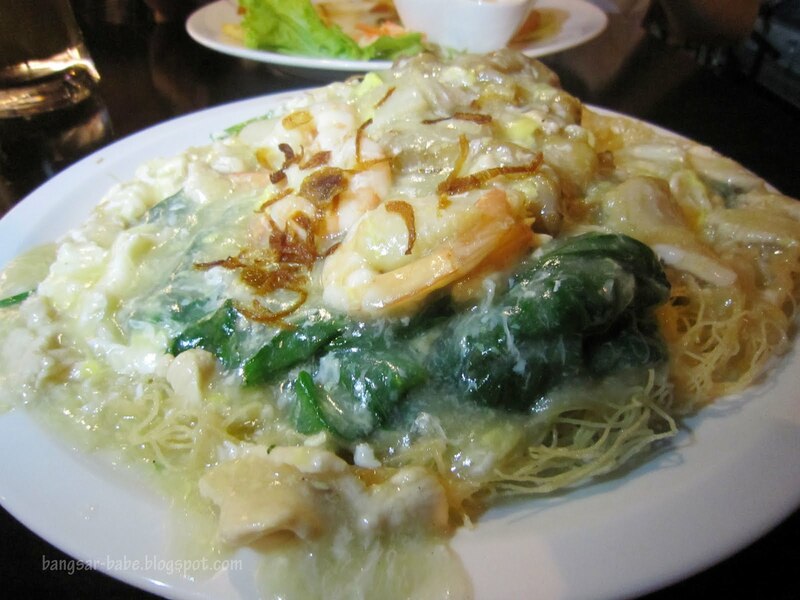 There are certain dishes that we receive a lot of positive complements, and of course there are dishes that didn't receive favorable feedbacks. Please do understand that "Hailam Kopitiam" is a franchise F&B business. Most of our supplies come directly from Hailam Kopitiam's central kitchen. We have informed the franchiser of the quality of food supplied by central kitchen. We have to conform to the franchiser's guidelines, as stated clearly in our Franchiser/Franchisee contract. Also, our Bangsar outlet is the first outlet operating with the new menu, with new dishes. The system is not fool-proof yet, as we are doing our best to improve it a step at a time. I hope everybody would give us some time to rectify all the issues, and I personally promise all of you that I take all kind of feedbacks/reviews seriously. We are also doing everything we can to improve the quality of service we provide to our customers. If any of you ever come across any questions/problems at all, please request to speak to one of the managers on duty, and we promise you that we will do whatever we can to rectify the issue. 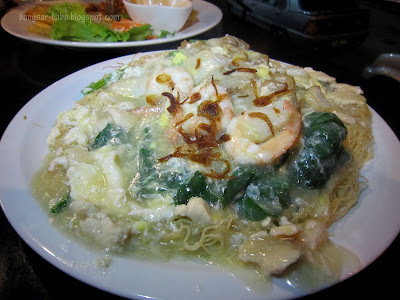 Thank you for posting a review of Hailam Kopitiam (Bangsar outlet). We are aware of the quality of food we serve here, as we received numerous feedbacks from customers. There are certain dishes that we received a lot of positive complements, and of course there are others that didn't receive favorable feedbacks. We would like to inform you that we will do whatever we can to improve the quality of food and services provided through this outlet. Also, we'd like everyone to understand that Hailam Kopitiam is a franchise F&B outlet. Most of our items are provided by central kitchen, and are beyond our control. There are certain guidelines we have to conform to as a franchisee, as stated clearly in our Franchiser/Franchisee Agreement Contract. Nonetheless, we have informed the franchiser regarding issues with quality of food supplied through central kitchen, and they are aware of the issues too. Please be informed that we take all kinds of feedbacks/reviews seriously, whether positive, or negative. We are serious in our business, and we look forward to improving it a step at a time. We are also the first Hailam Kopitiam outlet to be operating with the new menu, with new dishes, and I'm afraid to admit that our system is not fool-proof yet. But mark my words, we will do whatever we can to improve the quality of food and services provided, and make it everyone's Kopitiam by choice. If any of you ever encounter any questions/problems at all, please feel free to contact one of our managers on duty. We promise that we will do whatever we can to rectify the issue.